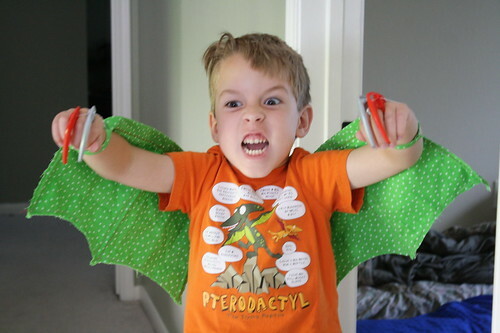 My kid is dino crazy. 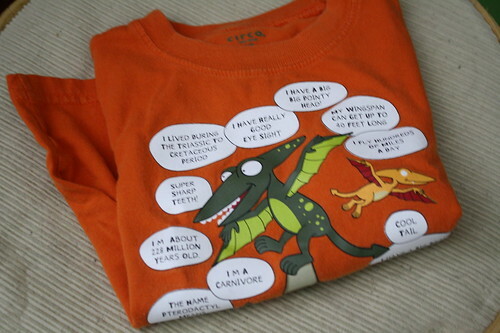 They had a special Dinosaur Train deal at the Houston Zoo a few weeks back, and if you wore a costume, you got a prize. 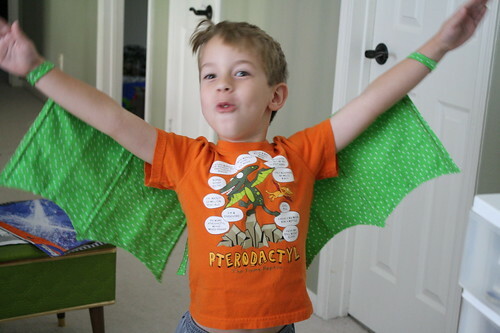 Well, we only have superhero costumes around here, so I whipped up some pterodactyl wings real quick. 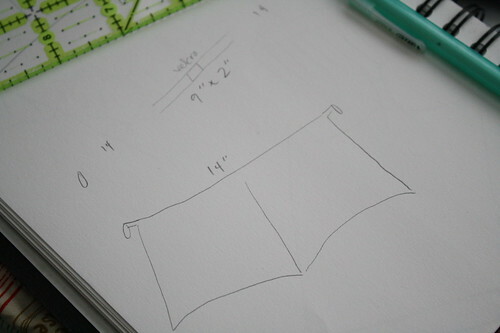 For inspiration, we used this shirt…now a little too small, but it worked for one more day. First I sketched out what I was aiming for – just the webbing that hangs down from their arms. Then I used some fancy stitches that kind of look like fangs to make casings for my bendy straws – these are the ‘veins’ in the glider wing, so they hold their shape. 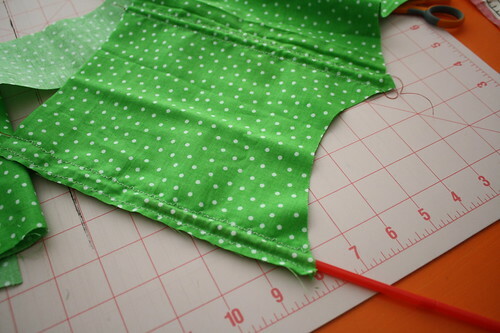 After sliding the straws in, I cut away some arches in the bottom and then sewed the bottom closed with some top-stiching. 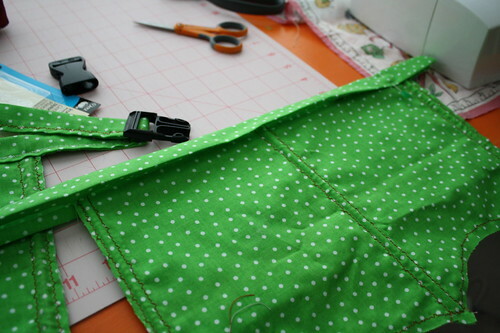 I sewed right over the straws so they wouldn’t fall out. 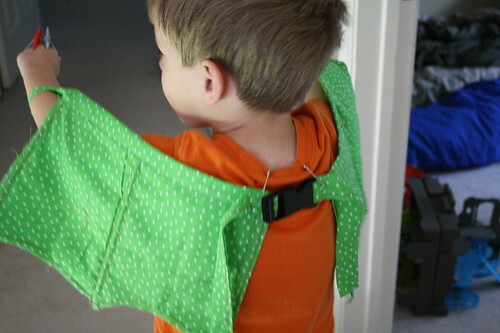 After making two ‘wings’, I connected them with some binding with a backpack clip in the middle (because pterodactyls grow so quickly!). On each end of the binding, I sewed a smaller double fold bias strip with a little snap, so I could attach the wings to his wrists. 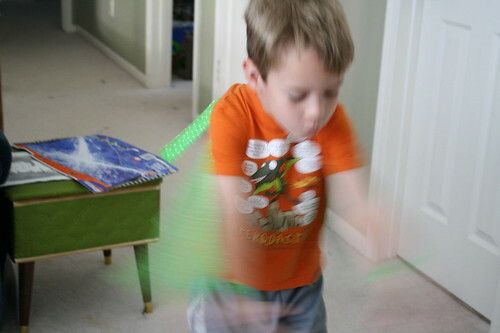 And to keep the glider up in the center of his shoulders, I just safety-pinned it to his shirt. 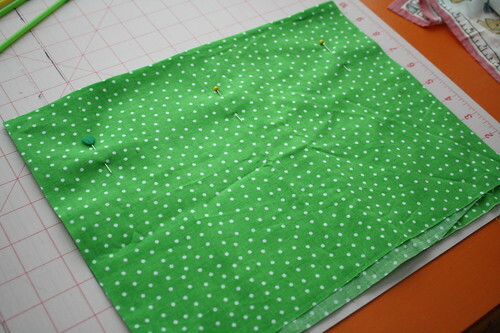 quilts are sew deer to me!